in pictures... azkals vs madrid; 1-3. we lost, again! all good... its not like its the first time. lol hopin football to finally grow big here in Pilipinas. 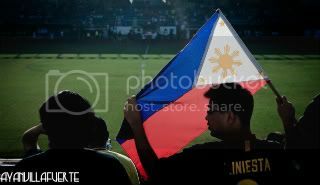 a big fan of azkals here. loud and proud.